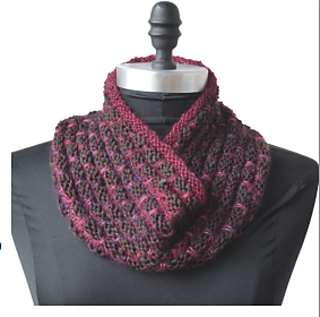 This pattern is only available as part of the Duets Kit, which can be purchased from an Artyarns retailer. Shown in Ocean Life colorway. 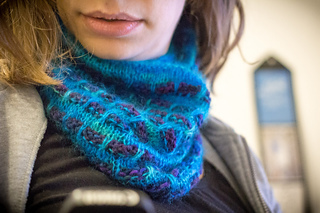 The Duets Kit is comprised of separate skeins of Supermerino and Silk Halo twisted together. 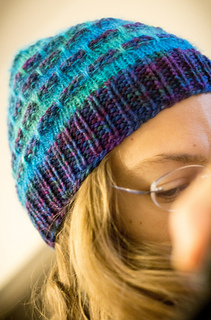 The pattern is included free with the kit. 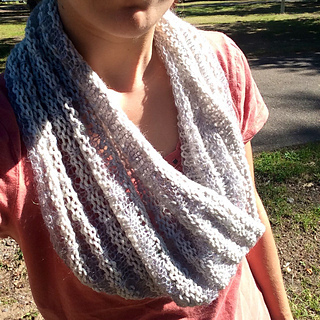 A fun slip-stich pattern forms the great texture of this cowl. 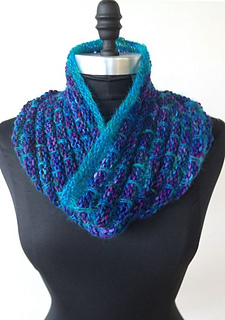 The difference in gauge between the two yarns adds textural interest. One Duets Kit is sufficient to create this project.